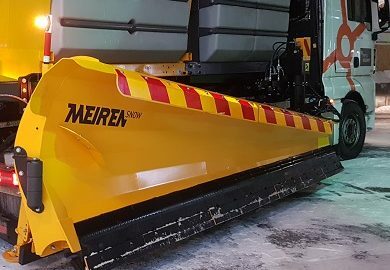 Meiren presents sideshiftable, N-series highway snow plow MSPN. The new highway plow of the N- series has the patented bidirectionally shiftable parallelogram, which gives the driver significantly more options to manoeuvre the snow plow also helps to cover the area being plowed to the maximum. Patented elastic polyurethane blade holders smoothly move over different obstacles on the ground. 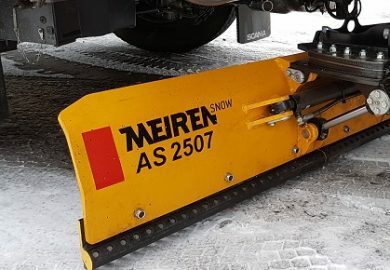 The Meiren's new KSM04 series plow is designed for use on highways and paved roads. Patented elastic polyurethane blade holder move smoothly over different obstacles on the road surface. KSM04 side plow can be equipped with hydraulic additional blade mechanism LH to achieve the best working trail. 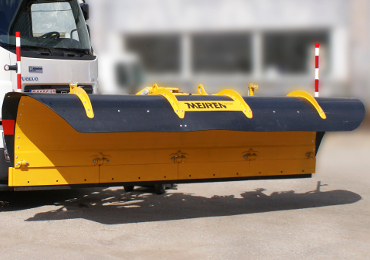 Underbody scraper AS2507 is the truck mountable snow plow that can be used both in winter and in summer. Plow can be equipped with hydraulically extendable side wings to achieve the greater span. Hydraulically lifting system and the side wing on the left is optional. Highway snow plows MSK is mainly meant for areas with extreme snow conditions. This model combines the best structural solutions of MSP-serie plows and reliable components with a new high throw blade profile. The highway snow plow comes with a vast choice of equipment levels, which means that there is a best solution available for any job. Whether you need to plow the side roads or a salty highway – the MSK serie will meet both requirements. 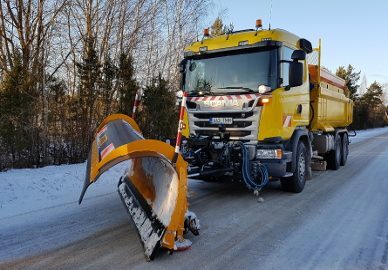 The side wing snow plow KSR is adapted for the mounting of the Swedish road maintenance vehicles. This product combines the new innovative ideas. The plow can be used both in three- and four-axle trucks. Also blade holders can be used alone or in combination with toothed blades. 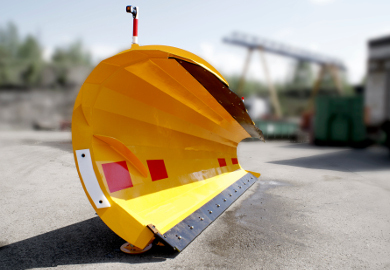 City and highway snow plow LSP has a unic spring mechanism and blade holders with adjustable angle. There are 4 independent sections of blade holders with ability to fold backwards in case of impacts from obstacles. 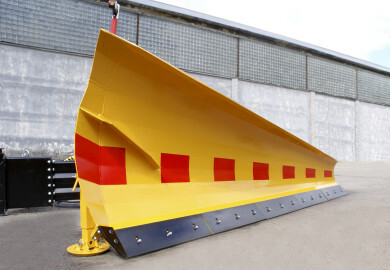 City snow plows are equipped with quickmounting system for rubber blades. Rubber as well as steel blades can be used: together or separately.